Need to send a phone number by sms? A friend asks a mutual acquaintance’s number? A colleague asks a phone number of an approved restaurant? Use quickNumber! 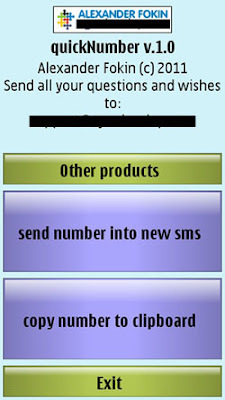 Find the needed number in your contact list and send it by sms! No business cards. No problems with receiving this message. Just send the number!